Viewability has become one of the hot button issues for the digital advertising sector but is it the silver bullet the industry is looking for? If a television ad ran for less than a second, without sound, and was partly or completely obscured on the screen, you could safely assume the advertiser would want their money back. For advertisers on digital channels, such scenarios are commonplace, with the majority of ad impressions failing to even achieve these basic requirements for viewability. Not surprisingly then, viewability has become one of the hot-button issues in the digital advertising industry, as more and more marketers come to realise many of the page impressions they are buying will never be seen by human eyes. 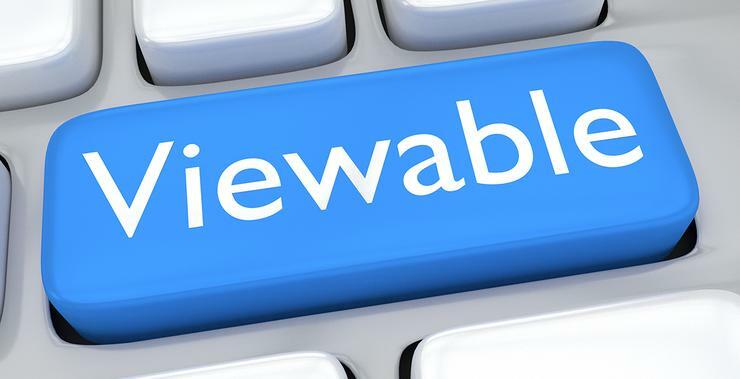 Using the US Media Rating Council (MRC) standard for viewability, Integral Ad Science’s (IAS) latest Media Quality Report for Australia found only 42 per cent of the local pool of digital inventory can be classed as viewable. That result rises by just three percentage points for ads placed directly with publishers. And the MRC standards are hardly onerous, requiring that just half of the ad must be viewable for at least one second, or for two seconds for video. Figures such as these have led some advertisers to seek guaranteed minimum viewability levels. Kellogg Company’s media and connection manager for Australia, Alastair Jones, says Kellogg will be making viewable CPM its standard cost metric, with a benchmark of 50 per cent and an operating target of 70 per cent. “Back in the day there was an assumption that you put an ad out there and people saw it,” Jones says. “But if the publisher who is selling you this inventory knows that their ad units are ‘below the fold’, and the majority of the inventory served on that page will not be viewable, is that a fair way of selling inventory? Kellogg is one example of a brand choosing the tackle the challenge head-on, having also invested in a data management platform (DMP) from Krux to better understand the performance of its digital spend. Its response is representative of a growing awareness among Australian marketers that there is more they can do to extract value from that spend. Diamond agrees the number of advertisers taking viewability into account is growing, albeit from a small base. That has also increasingly led to advertisers negotiating viewability targets for their media buys. But ironically, Diamond says this might actually be exacerbating issues for the broader pool of advertisers. “Viewability percentages have not really changed much since we stated measuring it in Australia,” he says. “That is a bit concerning, because we know that some advertisers via their agencies now have a viewability metric as part of their trading agreement, so publishers are responding to those requests and trying to provide that level of viewability. The rising interest in viewability among Australian marketers has also been noted by CEO of the Australian Marketing Institute, Lee Tonitto, who says viewability figures are not moving in the direction they would hope. By global standards, Australia actually ranks behind many other nations in terms of the performance of digital industry, with IAS’ estimate of 45 per cent viewability for publisher-direct ads well behind the 54 per cent it reports from the US. Numerous factors contribute to poor viewability, including robots and other forms of ad fraud, which represent 5.1 per cent of impressions in Australia (but well under the 10.5 per cent reported in the US). “Advertisers are starting to realise how important it is to buy good quality media and so demand for viewable, fraud-free and brand-safe media is rising,” Tonitto says. “Publishers will start to respond to that soon. You can expect to see CPMs go up as media quality improves. Diamond believes another issue is the sheer number of ads that publishers place on their pages. “Publishers have put a lot of ads on their pages because they can sell them all,” he claims. “We are trying to point out the ads that add value because they come into view. The rest are slowing down the Internet, and incentivising people to install ad blockers. Those advertisers buying on viewability may not be placated in the long term, however. A survey of advertisers by IAS found more than half believed the US MRC’s standard for viewability was too low. The situation is further confused by a lack of consistency among the tools used to measure viewability, with MRC-accredited tools from suppliers such as IAS, Moat and ComScore all capable of producing different results. For instance, when measuring ad duration, the timer might start either when the page loads or when the creative appears on the page. A 200ms difference between these events might see one tool reporting an ad as viewable whereas another one might not. Viewability is a key concern for peak body for digital publishers, IAB Australia, which has been working to develop a robust digital measurement currency. But that means overcoming a large number of technological challenges first, including the fact that not all ads can be measured for viewability. Account director at ad tech platform TubeMogul A/NZ, Ash Cooper, describes the reaction from publishers as positive. Cooper also cautions that viewability is not the silver bullet to measuring the effectiveness of an online campaign. “It is merely a metric that should be used to complement other metrics that allow marketers to build a clear picture of their campaign performance,” he says. “My advice to advertisers is to embrace viewability as a metric, but thorough testing must be undertaken to understand the true value and impact of this metric. According to the head of interactive for OMD Australia, Dan Robins, the next step will be to expand the definition of viewability to take into account the actual intentions of advertisers. This makes the MRC standards just the starting point in a much longer journey. “When there is already lots of confusion, at least 50 per cent of the ad in view is a start point, and cuts out all the other ads that never had a cat’s chance in hell of being seen because they were so far down the page or tucked away,” Robins says. “When everyone is on board we can all play within it and expand it and go to 100 per cent of pixels and more seconds. “But just getting an ad in view isn’t the be all and end all. Yes, it is important, but what’s more important is driving business outcomes. If it is for direct response, we want to drive sales and leads and volume; if it is for branding, we want to drive engagement and for people to actually feel the love.